I absolutely love riding in the rain. Not in the heavy downpours where you struggle to see what’s ahead of you. But the gentle drizzles that make you feel refreshed. Nobody likes to get wet and cold, especially on a long ride. Choosing good rain gear is key to enjoying a ride in the rain. While it’s important to keep your torso dry for the sake of comfort, it’s critically important to keep your hands dry for the sake of safety. After all they are operating the controls of your motorcycle and decide whether you stay on course or stop in time. I’ve tried a bunch of riding gloves with varying degrees of satisfaction. I have spent good money on expensive Harley-Davidson riding gloves designed for wet conditions. They seem to work well in normal rain. But in a downpour their effectiveness lasts for barely ten minutes. I looked at this problem closely and tried to figure out the reason for such poor performance. The thing is the material of the gloves is water repellent. But the water enters through the seams where the different parts of the glove are stitched together. 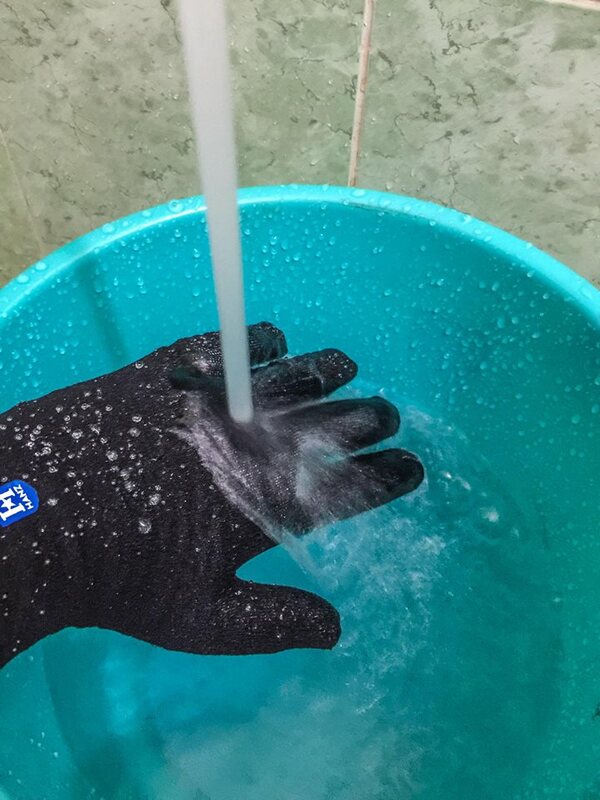 I searched online and found an American company called Hanz that makes waterproof gloves. The beauty of their gloves is that they have no seam. They are stretchable and have a three layer construction with a breathable MVT membrane that claims to keep you completely dry as well as warm. I decided to try out these gloves yesterday evening. I rode more than an hour in a light drizzle. They felt soft and comfortable and did their job well. 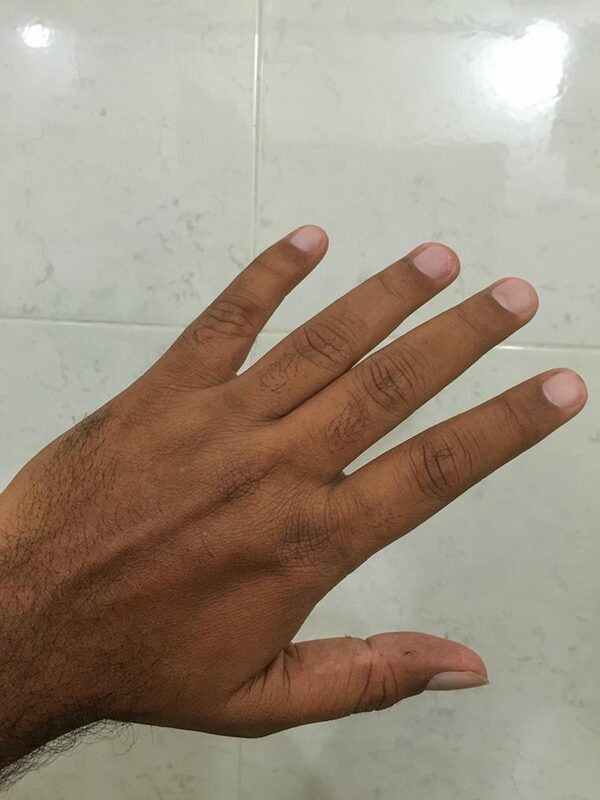 I came home and placed my hand under a tap to simulate a downpour. Dry. 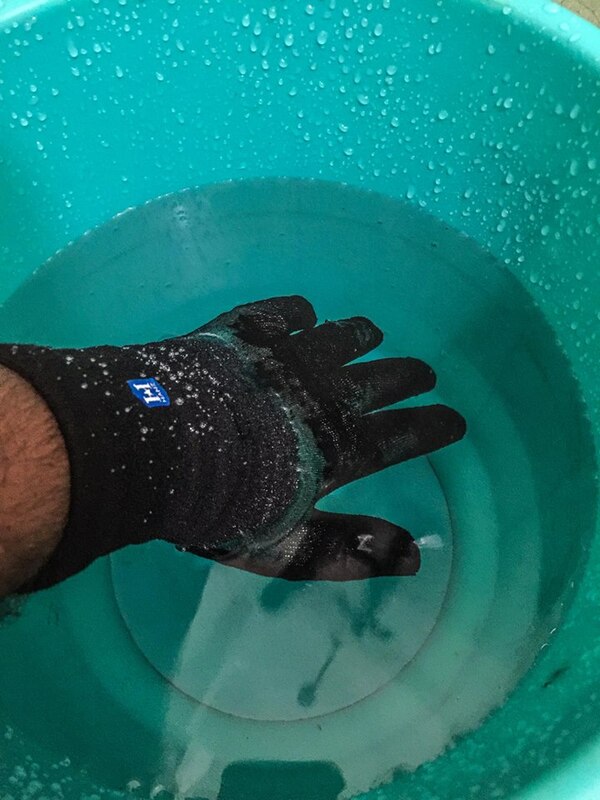 Finally I dipped my hand in a bucket of water for 10 seconds. Still dry. I kept my hand underwater for two minutes and finally started to feel some wetness at the tips of my fingers. I removed the gloves and found my hands completely dry with a faint trace of moistness at one of my finger tips. That’s good enough for me. These are not motorcycle gloves. They don’t have knuckle protection or anything like that. However the palm side of the gloves has a texture that helps in gripping stuff. Maybe something like a fishing rod by a cold and wet lake. These are waterproof gloves for general outdoor use and they appear to do everything that I expect a motorcycle riding glove to do in the rains. Here is the Amazon.com product listing page.